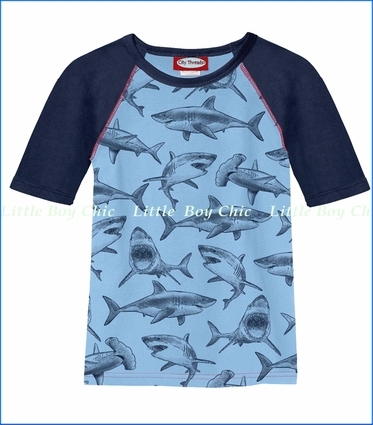 This tonal raglan shirt stylishly depicts two favorite sharks. Contrast stitching details. This will be his go-to everyday wear.